New and Used Medical Freezers are for Sale at The Dr’s Toy Store. Buy Medical Freezers now for the Best prices. Medical Freezers are ideal for hospitals, pharmacies and other clinics that need to store important medical resources at certain temperatures, such as medicines or samples. 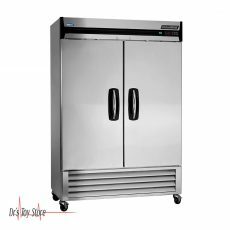 Medical refrigerators and freezers are available in various sizes, from compact to large sizes. These medical devices have many features including locks, digital thermostats, and temperature alarms. Medical freezers are specially designed to meet the demanding temperature requirements for safe storage of frozen vaccines and other biological samples used in clinical applications. 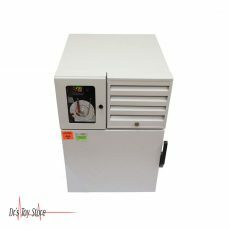 This is a compact all-freezer which is designed to achieve -20ºC, this temperature is considered to be ideal for long-term storage of certain sensitive materials. The 1.4 cu.ft. Manual defrost interior provides static cooling for stable results. It has a removable wire shelf which provides easy storage options with a clear interior inner layer for easy cleaning. The dial thermostat is inside. This unit has a flat door liner, as recommended by the CDC. The FS24L incorporates a factory-fitted lock for additional safety, with reversible doors that offer more convenience when setting up the unit. This model can also be customized with various upgrades, including digital thermostats, temperature alarms, data loggers, and more. Follett blood storage freezers are designed for safe and stable storage of whole blood, blood vessels, and other blood products and in accordance with AABB, ANRC and FDA standards for safety and performance of blood preservation. The freezer provides stable storage temperatures of -30 ° C; these blood freezers are equipped with a digital microprocessor controller with sound and visual alarms, robust refrigeration system and thick insulation, ensuring optimum working conditions for safety and protection of samples. These types of freezer offer a reliable cold storage solution for vaccines and other critical samples at temperatures ranging from -20 °C to -30 °C. These selections of freezers are ideal for clinical laboratories, clinical studies, medical practice and pharmacies that need strict temperature control and sustainable construction features. 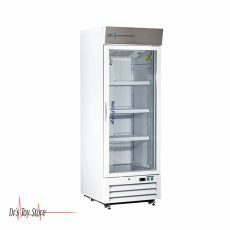 These freezers are heavy-duty, wire shelves make it easy to organize and access critical specimens, in a much easier and more efficient way, the upright design makes use of less floor space this makes the freezer to be more ergonomic and easier to use. Featuring Futura and Panasonic models, these manual defrost medical freezers come with various optional features for even better temperature control and monitoring including digital temperature display, chart recorder, thermometers/data loggers and more. Below is a list of the Best Medical Freezers brands that are available for purchase at Dr’s Toy Store.